A trip to India is an effective way to put perspective into life. The recent trip – I returned a couple of days – was unique in many ways. After a long time, I was part of a business delegation visiting multiple cities (New Delhi and Ahmedabad-Gandhinagar) on official business. 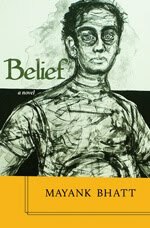 Then, when some of our delegates left for Varanasi, to participate in the annual jamboree of the Indian diaspora, I went home to Bombay to participate in the launch of my novel Belief’s Marathi translation. Ten days of hectic, whirlwind jet setting may seem glamorous but I’m just too old to handle such an adrenaline rush, and after the first four days into the tour, I was practically immobilized by the pollution in New Delhi and Gandhinagar. Fortunately, I recovered in time for the book launch in Bombay and then had to rest for the next couple of days before returning home. After a decade out of Bombay, I no longer belong to that city. Yes, it is a part of me and will always be, but I have no place in it anymore. Surprisingly, I don’t feel sad about it at all. The biggest reason, of course, is that people whom I’ve known for all my life, have moved on, and justifiably so. It becomes difficult for them to find time for me at my convenience; I’d think it’d be as difficult for me to find time for them in Toronto, if they visited unannounced and made demands on my time. 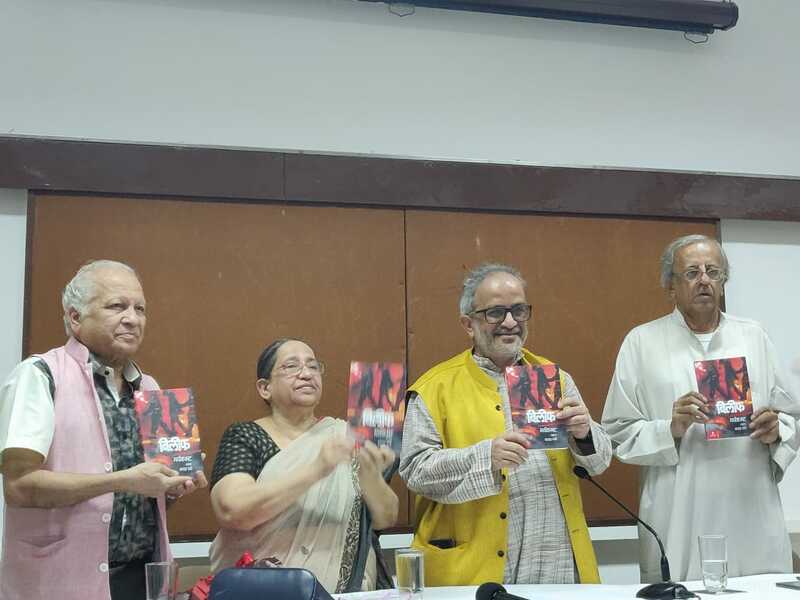 However, the book launch turned out to be a tremendous success and most of my friends and some of my family members did manage to find time to be there at the Mumbai Press Club. A special thank you to all those who made time to be with me, and for all those who couldn’t – well, thank you for trying. During the visit, I met Neerav Patel, the eminent Gujarati Dalit poet. He’s been a social media friend ever since he visited Toronto to be a part of the Festival of South Asian Literature and the Arts in 2015. Neerav believes that I should turn my ‘A Decade in Toronto’ series into a book. That’s a flattering thought, but I don’t think my experiences in Toronto are markedly different from those of hundreds of thousands of other immigrants. But let's leave that for the later. And for now just continue with the saga of recollection. This week, I’ll focus on authors and books. 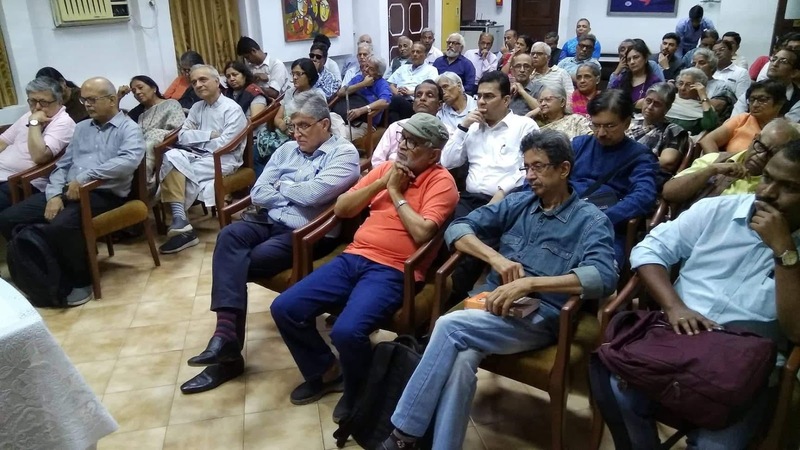 In 2014 Ramchandra Guha came to Toronto’s Munk Centre to launch his book Gandhi Before India (which is about Gandhi’s life in South Africa between 1893 to 1915). Guha spoke about Tolstoy’s influence on Gandhi and how the young Gandhi, who had just embarked upon Tolstoy's pacifism, was confident that his practice of non-violence non-cooperation would transform the world. That year, MJ Akbar, by then firmly in the Hindutva camp, visited the Munk Centre, and gave a scintillating insight into India, the Empire and the First World War. The lecture was to commemorate the centenary of World War I, and Akbar gave an original interpretation to end of an epoch and the beginning of a new one. Akbar’s reputation is besmirched and seemingly beyond repair. When I mentioned his name at my book launch in Bombay, in reference to a question, there were visible frowns from my women friends. I’m too insignificant to defend Akbar and indeed the allegations against him if true are indefensible. However, that shouldn’t take away from his achievements as a journalist, editor, historian and a fine raconteur. The two books that I read and loved were MG Vassanji’s India: A Place Within, and his memoir And Home was Kariakoo. Of course, India: A Place Within is a special book; undoubtedly one of the finest on India. “This country that I’ve come so brazenly to rediscover goes as deep as it is vast and diverse. It’s only oneself one ever discovers,” Vassanji says. That year, I also attempted my first translation of my father’s poem from Gujarati into English. A son’s poem to his dead father remains a favourite because it is applicable to everyone who reach a certain age when angst overrule all other emotions. Reading Min Fami – Arab Feminist Reflections on Identity, Space and Resistance was a revelation. And finally, one of the most insightful sessions on immigrant writing was a six-week program on Exile and Belonging: Stories of Immigrant Experience conducted by Sanja Ivanov then of the University of Waterloo (and now at the University of Toronto) at the Lillian H. Smith branch of the Toronto Public Library (Spadina and College). We read and discussed five stories by four authors: Roman Berman, Massage Therapist and The Second Strongest Man (from David Bezmozgis’s collection Natasha and Other Stories); The Inert Landscapes of Gyorgy Ferenc (from Tamas Bobozy’s Last Notes and Other Stories); Squatter (from Rohinton Mistry’s Tales of Firozsha Baag); and No Rinsed Blue Sky, No Red Flower Fences (from Dionne Brand’s Sans Souci and Other Stories). Let me conclude this blog – hopefully the last for 2014 – with a quote from Tamas Bobozy’s story, which incidentally, captures the quintessential bleakness that all immigrants experience when they return home after living in Canada. “It was only many weeks later, when I’d fully realized what it was to lose a country – after I had gone astray in the streets of a city I thought I knew as well as myself, after I’d seen the growth of apartments on the outskirts of Debrecen, after I’d stepped onto the Hortobagy and been unable to shake the sense of infinite distance between the soles of my shoes and the ground they stood upon – that I remembered where I’d last seen the smile Akos had worn at the airport. You see, either everything had changed in Hungary, or I had changed, and what was most disquieting about the trip for me was not only that I couldn’t stabilize my sense of being in the country, but that I couldn’t even fix upon the country I was trying to stabilize myself in relation to. I began this blog by saying the same thing – about not being able to relate to my Bombay anymore.